The ID2020 Alliance is a global partnership maximizing the potential of digital ID to improve lives. The ID2020 Alliance is a public-private partnership maximizing the potential of digital ID to improve lives. We fund digital identity projects, grounded in a common monitoring, evaluation and learning (MEL) framework, to produce actionable analysis of the costs, opportunities, and risks associated with these programs and enable stakeholders to embrace change. The ID2020 Certification Mark recognizes technical approaches that prioritize user-centricity, portability and privacy protection, shaping the market and creating demand for “good” digital identity solutions. We enable multi-stakeholder collaboration on digital identity by establishing a neutral governance structure, promoting participation by a diverse ecosystem, and hosting meetings, events, and collaborative discussions. A global management consulting and professional services firm, Accenture joined as a founding partner in June 2017. Accenture representatives participate in ID2020’s Executive Board and Technical Advisory Committee. Gavi, the Vaccine Alliance brings together public and private sectors with the shared goal of creating equal access to new and underused vaccines for children living in the world’s poorest countries. Dr. Seth Berkley, CEO of Gavi, the Vaccine Alliance, sits on our Executive Board. Since 1913, the Rockefeller Foundation has sought to improve the well-being of humanity around the world. The Rockefeller Foundation provided ID2020 with seed funding in in 2017 and has been an ongoing supporter of ID2020’s work. The American multinational technology company joined ID2020 in January 2018 as a founding partner. Members of the Microsoft team sit on ID2020’s Technical and Program Delivery Advisory Committees. Created by IDEO, the international design and consulting firm, to design products, services, and experiences to improve the lives of people in poor and vulnerable communities, IDEO.org joined ID2020 in 2018. IDEO.org is represented on our Program Delivery and Ecosystem & Advocacy Advisory Committees. Mercy Corps is a global non-governmental, humanitarian aid organization. Mercy Corps participates in our Program Delivery Advisory Committee. A non-profit organization seeking to connect people through lending to alleviate poverty, Kiva joined the Alliance in 2018. Kiva representatives sit on our Technical and Ecosystem & Advocacy Advisory Committees. An umbrella project of open source blockchains and related tools, Hyperledger works at the frontier of emerging technology. Hyperledger joined the alliance in 2018. Brian Behlendorf, Executive Director, participates in our Technical Advisory Committee. An international non-profit organization dedicated to using biometrics to improve lives through digital identity, iRespond is a partner in our ongoing pilot project in the Mae La Camp. A global confederation of 14 members working to fight poverty in 95 countries, Care International joined ID2020 in 2019. A nonprofit startup from the University of Cambridge, Simprints builds biometric fingerprint technology to broaden and streamline access to services. Simprints joined the Alliance in 2018 and is represented on our Ethics and Risks Advisory Committee. Offering ICT solutions across fifteen specialized UN Agencies, the International Computing Center operates at the cutting edge of innovation in the UN ecosystem. ICC joined ID2020 in 2018. By advancing integrated locally driven solutions, FHI360 works to improve lives. FHI360 joined ID2020 in 2018. Copperfield Advisory, a boutique strategic communications advisory firm, provides pro bono support to ID2020. Chapman and Cutler LLP offers ongoing, pro-bono legal services to ID2020. Closing the identity gap is an enormous challenge. It will take the work of many committed people and organizations coming together across different geographies, sectors and technologies. But it’s exciting to imagine a world where safe and secure digital identities are possible, providing everyone with an essential building block to every right and opportunity they deserve. Digital identity has the capacity to enable access to vital, life-saving services in many different development and humanitarian contexts, including by accelerating access to basic health care systems. 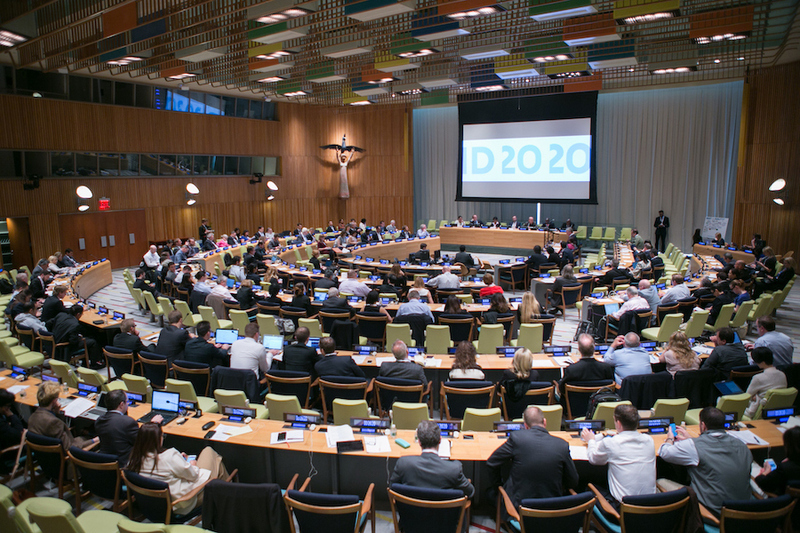 I am excited to join ID2020's Executive Board, and guide the organization and partners in harnessing innovative technologies and multi-sectoral collaboration to benefit the world's most vulnerable populations. Accenture has joined the ID2020 Alliance with partners like Microsoft to create an open, human-centric approach to identity. The alliance draws on advances in biometrics and innovative technologies and brings together expertise from business, government and non-government agencies. As an alliance, the success of this initiative depends on robust collaboration and a clearly defined means for stakeholder engagement. The governing body for the Alliance is the ID2020 Alliance Executive Board. The eleven mmeber board includes five independent Directors, two Directors nominated as representatives of the public sector Founding Partners, two Directors nominated as representatives of the private sector Founding Partners, one Director nominated as a privacy expert, and one Director representing funding organizations. The Board is supported by four thematic Advisory Committees, which provide in-depth advice to the ID2020 Board. Membership in these committees is set by the Board, with Founding Partners eligible to nominate representatives to two Advisory Committees. ID2020, a US-registered 501(c)(3) based in New York, NY, is the Secretariat for the Alliance. As such, ID2020 is responsible and accountable for day-to-day operations, including: raising money to fund digital ID projects, coordinating with implementing partners for project implementation, setting and managing technical standards, monitoring and evaluation, legal and financial management and administration of the governance system. Management of these activities is the responsibility of ID2020’s Executive Director.